Exploring a new place? Moovit now provides trip information as you ride public transport. Moovit, an app we’ve written about a few times which aims to become the ‘Waze for public transit,’ just got a major update that provides live information when you are actually using public transport. ‘Start Ride’ mode will provide your estimated time of arrival throughout, and will let you know when you approach your final destination. That’s a very useful feature if you are visiting a city, or navigating a new area for the first time. The app, which has 8 million downloads to date, also lets you share your progress with friends via Facebook, Twitter and WhatsApp. The service now covers 400 cities across 35 countries worldwide — having added 23 new locations. 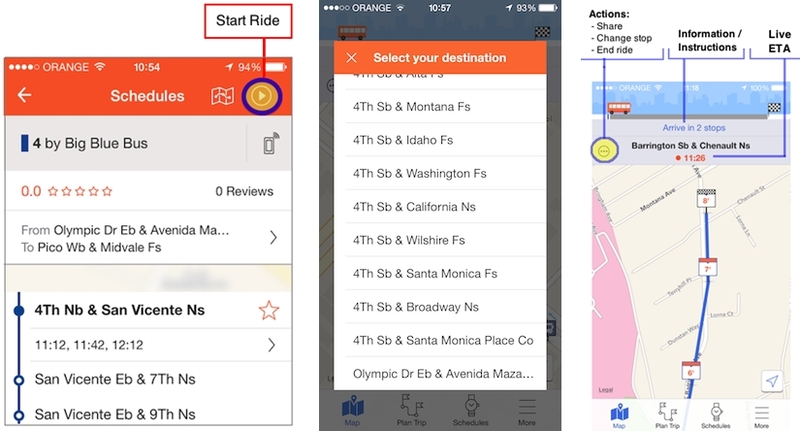 In addition, Moovit for Android users can now save trips for later viewing or offline access. This feature will come to the iOS and Windows Phone versions soon, the company says.